Waiting to feed your kids is never a good idea for a happy vacation. When the time to eat comes, it’s nice to have an idea already in mind. If you’re taking your vacation on Clearwater Beach, we have a number of suggestions for you. 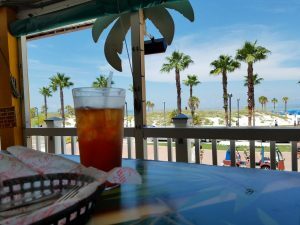 Dining out on Clearwater Beach is easy because you can trust just about any sit-down restaurant on the island. They are all safe bets and they are going to have something for your kids, including the ones that are advertised to be all about seafood. Grilled cheese might not come from the sea, but you can still have it served to your table along with the shrimp. Our advice for parents might be handled right here in this paragraph because it’s hard to go wrong with so many good restaurants. Still, we’ll give you a few more that are a little more tailored for children. 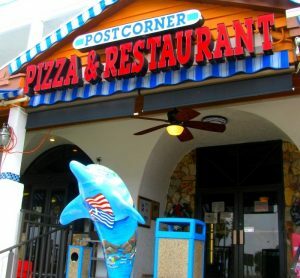 The restaurants on Clearwater Beach that have some pretty good pizza are Post Corner Pizza, Captain’s Pizza, and the Gondolier. For a more specialized pizza that will dazzle you, try the ones from the Clearsky Café. For truly gourmet pizza, head across the bridge into downtown Clearwater to visit Milano’s. It’s amazing. On the south end of the beach, you will find an IHOP nestled inside the Quality Beach Resort. It’s a bit of a small place but get there on time and you can have the meals you’ve come to expect from IHOP. Predictable meals are always a good bet with kids. The restaurant is about an eight minute a walk from the beach or vice versa so it’s an easy meal to fit into the day. Also on the south end is a McDonalds and on the north end is a Subway and a Dairy Queen. On the beachfront of Clearwater Beach, you will find two concession stands. One of them is right at Pier 60. The restaurant used to sit at the roundabout but was moved when construction changed the traffic flow. It sells concession stand fare and ice cream plus gift shop goodies. The other concession stand is to the south and is called the Barefoot Beach House. They serve beach fare and ice cream and also have a gift shop. 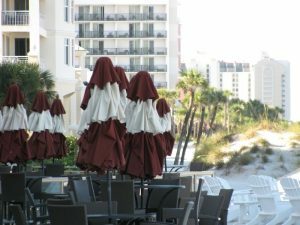 In addition, they provide picnic tables and umbrellas out on the sand of the beach. We leave true meals behind now to talk about snacks. We’ve named a couple of place you can get ice cream already. Well, there’s lots more. Clearwater Beach is a place of eternal summer and we like our ice cream. On the south end of the beach you will find Coneheads Ice Cream, and the Barefoot Beach House. 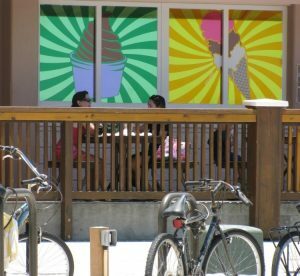 From the center of the beach headed north, you will find ice cream at the Pier 60 concession stand, Kilwin’s, Green Apple Frozen Yogurt, Captain’s Pizza, Ice & Cream Creamery, Gelato Belle Italian Ice Cream, Working Cow, and Dairy Queen. Kilwin’s is also a candy and taffy shop, so they have it all. And, yes, we might have unintentionally left some off the list. Like we said, this town serves up some ice cream. 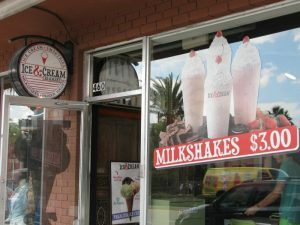 The good news is that you won’t go far on the Clearwater Beach streets without running into food that works for kids. In fact, after your first walk up and down the sidewalks, you will probably be overrun with suggestions of where to eat from your younger vacation associates.